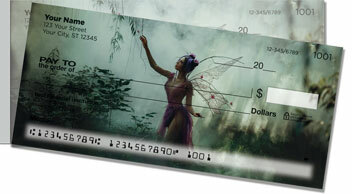 When hiking a woodland trail, do you keep your eyes peeled for playful fairies like these? Forget the naysayers -- in the forest, you know magic abounds! 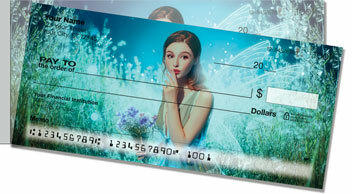 That's why our artist created these vivid Magical Fairy Checks in a rainbow of colors and complete with -- what else? -- pixie dust! 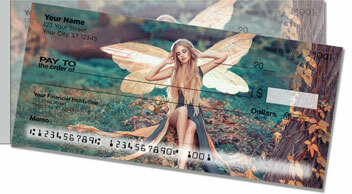 Of course, our Magical Fairy Side Tear Checks have more to recommend them than just gorgeous graphics. 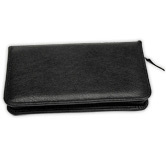 They're also super easy to separate from the pad, thanks to the short line of perforation on the left. It gives you improved leverage for a quick, clean tear. That means no more accidental rips! 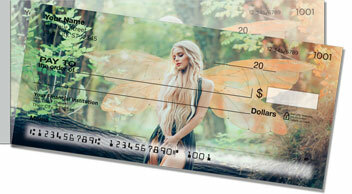 Remember, ordering from CheckAdvantage is almost as easy as waving your wand, so make our Magical Fairy Checks and matching address labels yours right now!